Brand is an invaluable asset of any business organization. A brand coherently represents the perception of the company’s customer services, product, reputation advertising and logo. When all of these attributes are working aptly, the overall brand tends to be healthy. Your brand is the way your consumers preview and accept as. Branding is the planned process of connecting your brand product to your mainline customers and creating an impactful perception of your company. No! Branding is not merely logos, hoarding, brochures design, it is much more than that. Branding is an inclusive process of setting an appropriate perception of your brand in the minds of the target customers of the market. Branding of your company must convey quality, authenticity and credibility of your product and services. Branding functions as the backbone for your company or organization. Brand is the goodwill held by the company and many national and multinational companies show its value in their final balance sheet also. Perhaps, branding is beyond logos, brochures and symbols, it’s the summation of digital and verbal exposure of your brand product through various mediums. In the era of faster technological transitions, branding is stated to be the most important phenomenon for marketing the brand. Branding has become the necessity of the brands today due to various reasons prevailing in the market economy. The cut throat competition to monopolize the market plays a very vital role in the hiking importance of branding. Along with, the buying market has come online on the digital platform which has immensely influenced the purchase decisions and the market scenario in the graph. Every company desires to be seen and at the same time outperform in the social and economic market. And thus along with branding, re-branding have also take a noticeable place in the market. Re-branding is renewing the particular logo designs or idea of advertisements or such changes to give a push up to the company. As branding is a continuous process and thus it also requires something fresh and relevant to attract new customers and keep interested the old ones, which is done through re-branding. The updating and renewal of the brand is necessary in the appropriate interval of time for its interesting exposure and proper expansion in the desired market and at the desired period. Hence rebranding is renewing branding attributes yet keeping the core essence of the brand same. The below mentioned points will clear the importance of branding and give you an assurance that expenditure carried out on branding is not an expense but is purely an investment for the brand in long term. An efficient brand fails not to connect the emotional chords with its targeted customers. The customer is the superior in the general market who has many choices in the market but maintaining proper relationship with the customer will make sure that they would choose your brand product. Establishing emotional connections between the brand and the company is the result of outstanding branding strategies. The customer requires emotional satisfaction for their purchase and your branding strategies can surely provide them with the product purchase as well as emotional satisfaction. Brands with great motives achieve their goals by establishing personal and emotional connection with their customers. Hence spending money over branding will cost you nothing but surely will provide you with long term loyal customers. For Example: Cadbury is a food product of which the branding advertisements create emotional aspects in the minds of the customers. 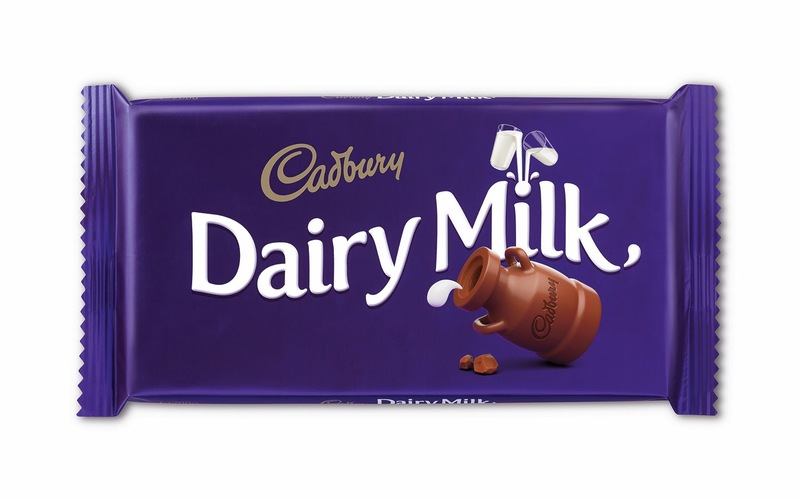 Cadbury frequently launches new products in the market and because it’s food product so company mainly focuses on packaging design every time because consumers will get first impression of new product from it’s design. Cadbury really knows the important of product packaging design for short and long term branding. Today, good news or bad news can easily reach to thousands and thousands of population just through few clicks. Yes indeed, just words of your customers on social network or verbally can build your brand or turn it into ashes in no time. Word of mouth marketing is determined as the renouncement of the performance of your brand by your own customers to others either verbally or through the social media posting. Word of mouth marketing is defined as the most valuable and very less expensive medium of advertisement and promotion of your brand. It is the major tool of marketing, mainly the one which customers trust upon above all others and the one that is more likely to drive sales for your company. Thus undoubtedly fostering positively influencing word of mouth is a very worthwhile investment. 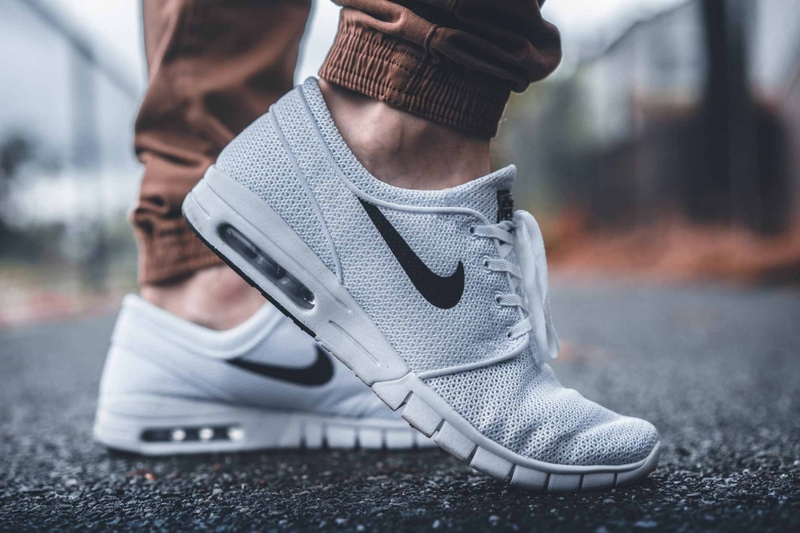 For example, suppose you buy a pair of shoes of Nike brand and if the product is inappropriate or has any manufacturing defect and if you post your disappointment towards the brand on social media or you express it to your friend circle verbally then this can adversely affect the reputation of the brand. Appropriate planning of brand strategies and its implementation can help your company to work dedicatedly towards the brand development. Brand strategies help you to set firm and achievable goals, this force of achieving the goals and reaching the aims keeps you focused on your path. Branding strategy also is planned with assurance of returns in terms of the brands out performance and this aspect keeps the company focused on the factual achievement of their goals. Branding can be considered as the tool providing the motivation to stay focused on the terms of achieving goals of the business enterprise in long run. Hence following a strong and future oriented brand strategy helps your brand stay focused and work towards the achievements of the mission and visions of the company while staying true to the brand you have established. Employees are the important resources of the company and thus must be taken appropriate care of their emotional and social requirements. The attachments of the employees towards their companies help them render extraordinary results which may turn the tables for the uplifting the sales of the company. The work environment, colleagues, promotion and incentive criteria’s are the factors profoundly influence their willingness to learn and to perform at work. Appropriate involvement of employees in the branding strategies can keep them motivated and the achievement of desired results can undoubtedly boos their morale at work. This portrays the importance of motivation of employees through various aspects. Adequate application of branding strategies results into long term achievements of the business enterprise. Proper branding helps in establishing long term trustworthy relations among the customer and marketplace. As much as the customer hears, sees or knows about your company, so much is it going to influence his trust factor upon your company. The positive appraisals of your brand initiates the feeling of trust in the customer which in long run if watered properly, may turn into loyalty of the customer to choose your band over every other choices over and over again giving you a hike in sales of course. Thus appropriate and well organised branding strategy can favour you with customer’s valuable loyalty and trust towards your company and the marketplace in whole. Tesla, Coca-Cola, Apple, Rolex and Google are the most trusted brands in the market. Everyone desires to be famous brand in the market but not all put in enough efforts required in impactful branding strategy. To be well-known and reputed in the market is must. Branding helps you to reach out to many various fields which can affect the graph of sales for the brand. The brand becomes known to every desired class of the society through branding, which significantly helps the purchase decision of the customers and hits the boards of competition through your product and services. Branding strategy may result a bit expensive in this case but can reward you with great a many valuable results. Brand Ambassadors are the best way to improve brand’s reputation in the market. Big Brands never misses a chance to sign huge stars from bollywood, cricket or other sports person for their brands. People trusts their favorite star and they loves to see them on TV, billboards, hoardings, social media and other medium. The launching of the new product helps you to design a pre-planned and well organised structure of strategic branding. This strategic branding helps you know your core market, helps you know your targeted divisions for the product launch, the effect and influences of the product over the market and other such aspects along with its rewards. Hence, strategic branding can be justified as the initial influencer and market player for the launching of new product and helping it reach to the appropriate audience. Strategic branding helps us to signify the company’s target and also reports the company about the needful approach of desired audience to outperform while launching product. If Mercedes or BMW or any other car brand planning to launch new car in the market then it’s easy for them to reach their targeted audience because they established themselves as big brands. They don’t need to spend millions of dollars in new branding strategies. Digital & print media will write for them, Photographers will shoot for them, they can easily give answers of customers through media. This way a big brand can save lots of money in marketing & branding if they have good branding strategy. Branding is an evergreen tool with the equal perspective of present as well as future influence on the company brand and its products. Developing an efficient brand can help you turn up on the rank list by its methodological usage and assistance. As branding is a long term process it definitely is going to be a helpful guide in the hard times of the company. Proper branding can retain the brands significance through its valuable and worthy marketing aspects which may turn out to be of a great help in the days of crisis. This proves that the returns of the investments in the strategic branding results into fruitful trees in the long run. According to the above described importance of branding and the need for spending on branding helps you understand the significance of appropriate branding and its effects on the modern market. During the continuous application of the brand strategies, it is important to check the results of the same. The results and effects of branding of your company can be perceived through analytical study of the survey done for the same, the sales reports and the graphs of various achievements. This analytical study helps you to review the whole scenario useful for branding and also helps you to make any methodological changes if required in the branding strategy of the company. Need more advice of branding and advertising? Contact Aayam expert team here!